A couple weeks ago, the Disney Parks Blog offered readers the opportunity to attend their latest Meet-Up, a regular offering from the Blog for Disney fans of all ages to attend some once-in-a-lifetime events – from interviews with attraction creators to parties! 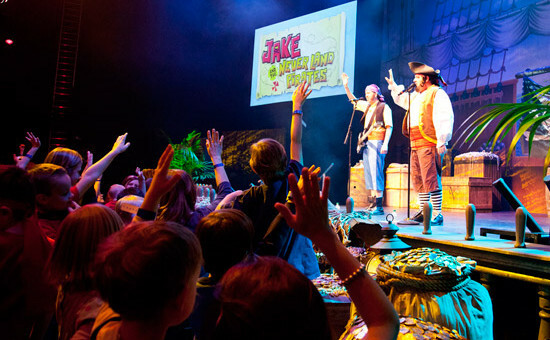 This latest Meet-up gathered kids and parents of all ages to see Jake and his pirate band, stars from the hit Disney Junior show on Disney channel. They got to rock out to some awesome music that we, grown college students love! Click the photo for more details. Disney Parks Blog hosted a Meet up last Saturday to give guests a chance to see and interact with Jake and the Never Land Pirate band. The guests were also given a chance to meet and greet with characters from the show such as Jake, Captain Hook, and Mr. Smee. There were pirate games to test one’s skills as a pirate and as a bonus each guest was given a fastpass to that evening’s showing of World of Color and copy of the “Jake and the Never Land Pirates” soundtrack. Next story Happy 11th Anniversary, DCA!